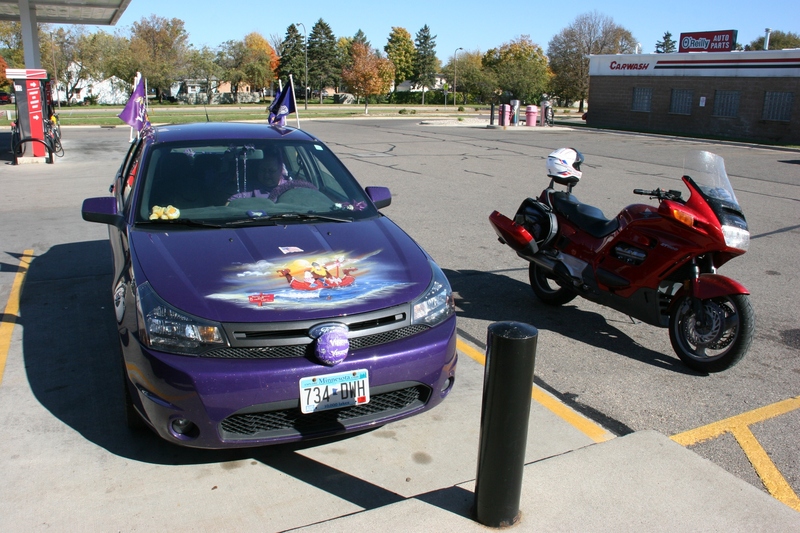 I noticed the purple Ford Focus in the parking lot of a Faribault convenience store late on a Sunday morning. Lucky for me, I had my camera. I sprang from the van, striding toward the car on a photographic mission. 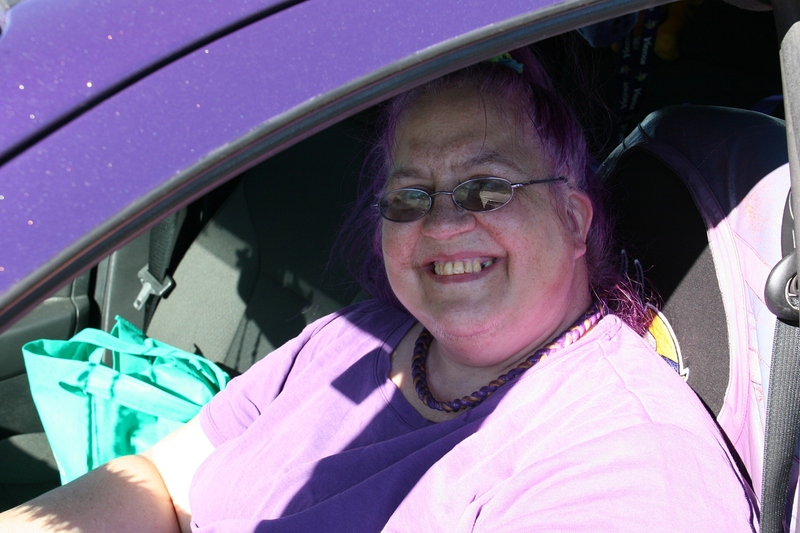 Lucky for me, the driver, Brenda, granted permission to photograph her and her car, painted her favorite purple for her favorite team, the Minnesota Vikings. She doesn’t have a favorite player. I asked. 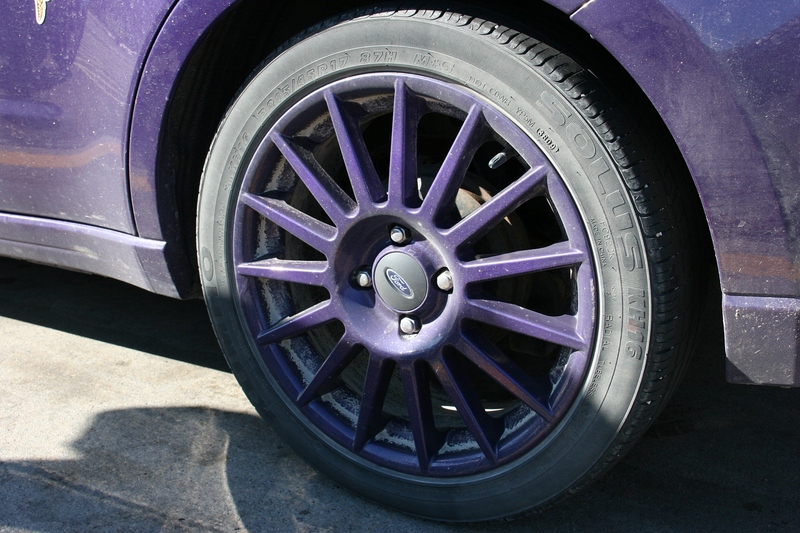 But it’s clear, from the purple rims to the purple steering wheel cover to the Vikings seat covers to the Vikings hood art to Brenda’s purple hair, that she loves the color purple and the Minnesota Vikings. And to think, this wasn’t even a game day. Minnesota: an Objibwe word for hope found in hopeless places. I had to read your comment several times before I understood. I “think” I get it. Definitely. I loved her enthusiasm and loyalty. I think Brenda has a lot of fun with her car. I know. You gotta love Brenda’s smile. She just looks so happy. Ha ha that is a true fan. I love this! Now that is what I call a fan! 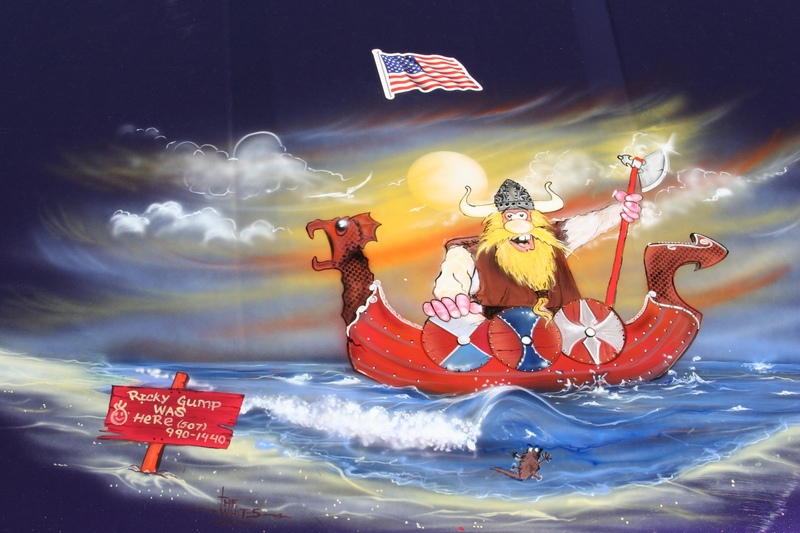 Yes, I was pretty excited when I spotted Brenda’s Vikings’ car. I loved your words … I sprang from the van, striding toward the car on a photographic mission. You are definitely a lady ready for a story at any time! I certainly can relate to this. Nice job. That’s why I try to carry my camera with me at all times. When I don’t, I miss something worthy to sharing here. I noticed her hair right away. 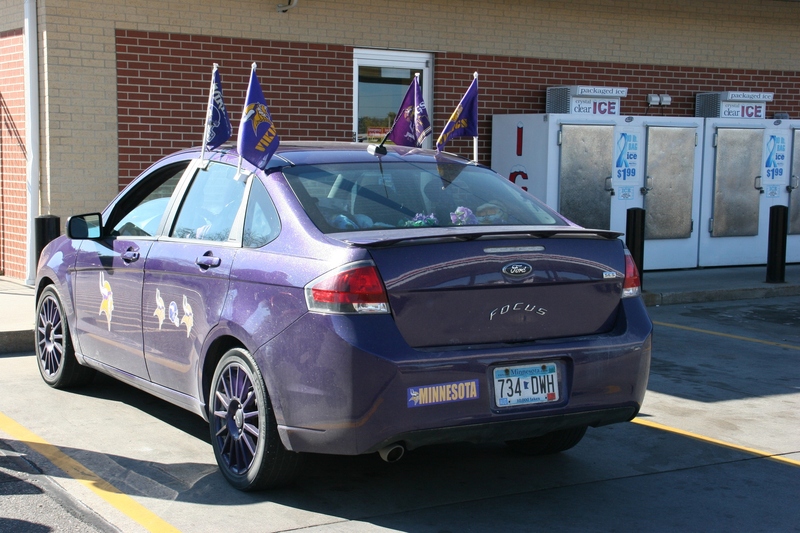 Oh, we have lots of die-hard Vikings fans in Minnesota.